Close to 80% of all the gold produced in Colombia comes from illegal miners, according to recent data unveiled by the country’s government. Speaking to Blu Radio (in Spanish) the Comptroller General of the Republic, Edgardo Maya Villazón, said the $2.5 billion illicit mining industry is creating a parallel economy that is deemed to harm the business of those who operate legally. But the financial damages are not the only ones to fear. 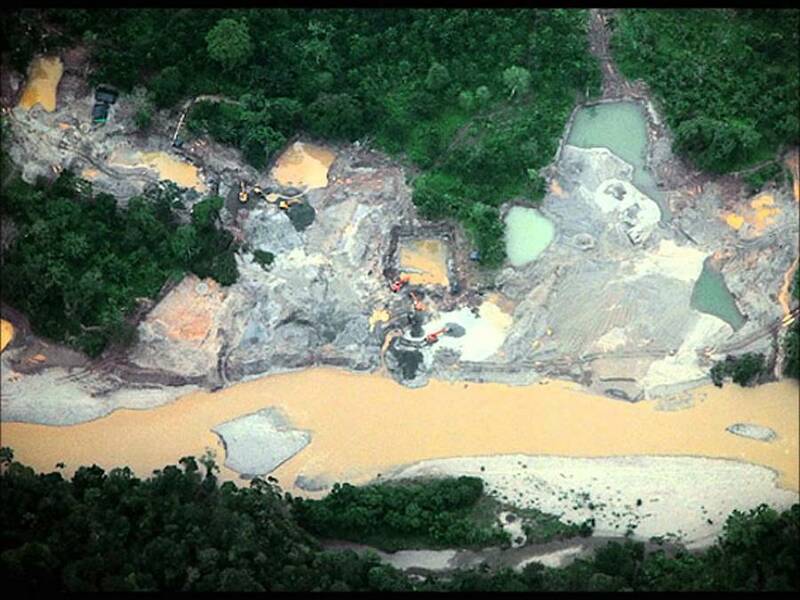 Illicit miners, which are present in 233 Colombian municipalities, have already caused the deforestation of 16,784 hectares (65 sq. miles) of old-growth —or primary— forest. And only last year, those operations also contaminated at least 19 rivers, data from the Environment and Sustainable Development Ministry shows. In late July, Colombia’s President Juan Manuel Santos unveiled a new plan to combat the problem. Among the fresh measures, Santos granted the Defense Ministry more powers to fight the country’s leftist rebel forces and criminal neo-paramilitary gangs, which are reportedly the ones behind the surge of illegal miners in the country. Residents are caught in the crossfire. About 200,000 Colombians were driven from their homes in 2013, the latest year for which data is available, Consultoría para los Derechos Humanos y el Desplazamiento, a Colombia-based human-rights group, said early this year. The country holds vast, and mostly untapped, reserves of coal, gold, silver and oil.